Small cluster using raspberry pi similar boards, ODROID. This is an educational project aiming at teaching cluster operation. aubort edited the content of Mini Cluster. hu added a watcher for SCITAS Mini Cluster: hu. aubort edited Description on SCITAS Mini Cluster. aubort renamed SCITAS Mini Cluster from SCITAS mini cluster to SCITAS Mini Cluster. aubort renamed SCITAS Mini Cluster from SCITAS toy cluster to SCITAS mini cluster. aubort edited the content of Toy-cluster. aubort changed the visibility for SCITAS Mini Cluster. aubort updated the image for SCITAS Mini Cluster from Unknown Object (File) to F618124: profile. 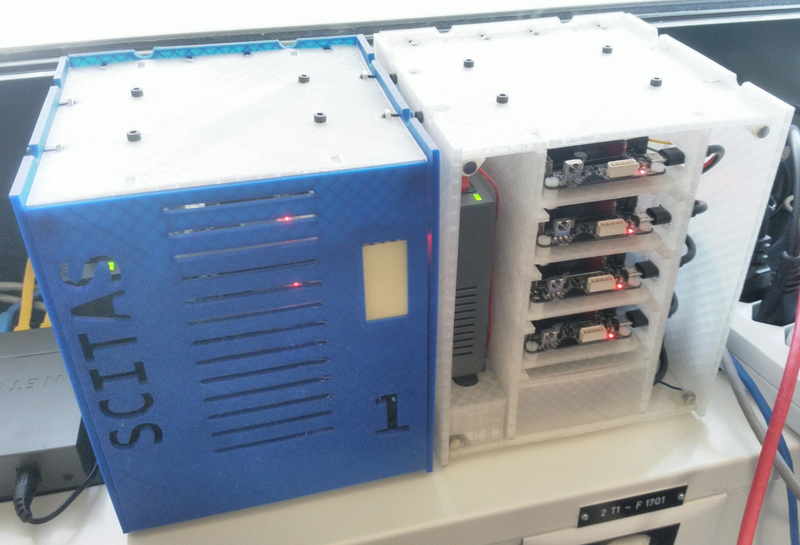 aubort added a project to Toy-cluster: SCITAS Mini Cluster. richart renamed SCITAS Mini Cluster from scitas-toy-cluster to SCITAS toy cluster. richart set the icon for SCITAS Mini Cluster to Project. richart removed a member for SCITAS Mini Cluster: rezzonico. richart updated the image for SCITAS Mini Cluster from F16937: fa-briefcase-blue.png to Unknown Object (File). richart set the icon for SCITAS Mini Cluster to Organization. richart removed a member for SCITAS Mini Cluster: fourestey. richart created SCITAS Mini Cluster.